The RX series is a master in the field with the most advanced features including a 2m wide EasyFlow camless pickup, SpeedSharp system and hydraulic pivoting front wall. 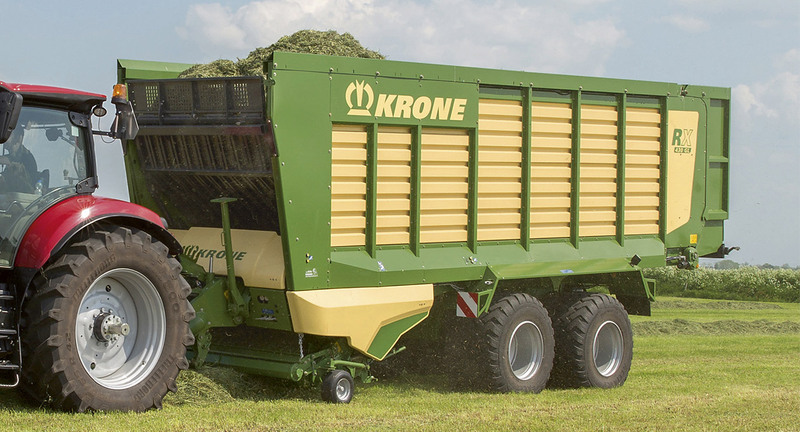 Krone’s RX forage wagon offers a choice inbetween the MX and ZX range with a volume size of 40m3. 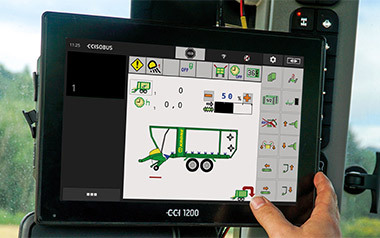 The Camless EasyFlow pick-up has 60% fewer moving parts resulting in quieter running and reduced wear while the crop feed roller eliminates the risk of crop pushing in uneven swaths. Guide wheels at the rear of the pickup enhance the overall running of the wagon. They help to ensure that the wagon does not run in the tractor wheelings ensuring that optimal pick-up height is maintained. Easy flow pick-up has been increased by 100mm to a total working width of 2015mm wide. Hydraulically driven pickup with the flexability to adjust speed manually between 800rpm- 1500rpm or automatically based off the ground speed. The tines have been arranged in a W formation helping feed material into the middle avoiding material build up when turning helping distribute material across the full rotor width. Massive 880mm rotor cutter offers a maximum width of 1910mm maximising the filling capacity and productivity. 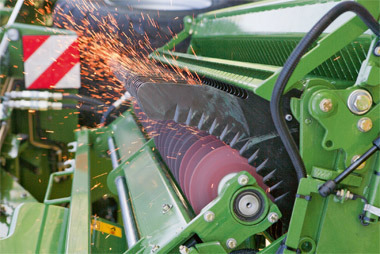 The helical tine rows offer quieter running. 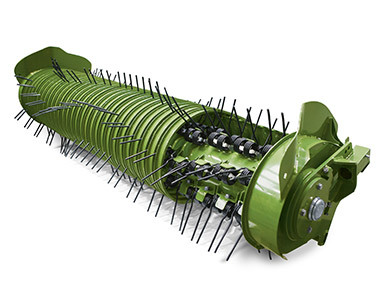 The rotor tines made of hardox steel feature extra wide feed plates that provide gentle crop treatment and enhanced quality of cuts and reduced power. The knife bank lowers hydraulically to remove any blockages, once the blockage has been cleared the bank swings back into position. 48 knives provide a nominal cut length of 37mm. The knife draw swings out hydraulicly for convenient knife change and to remove andy potential blockages. SpeedSharp comes as standard. This system is an automatic multi-knife sharpener with all knives sharpened within about 4 minutes. The headboard work by moving to on of three positions: 1 filled to capacity at the end of filling cycle. 2 Filling position as set by the operator. 3 unloading position ensuring fast and effective unloading. When the rear of the wagon is filled to capacity the headboard inclines toward the tractor to increase the load volume area. The PowerLoad automatic loading system relies on the established sensor that is integrated in the headboard measuring the forces acting on the headboard. 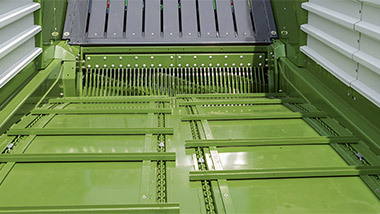 The 350mm sloping front wall allows for lower power requirement, higher compression, eliminate forage tipping over, and eliminating squeezing and compressing. The four flat-link chains have a breaking load of 12t so you can rest assured the reliability and durability of the floor. Two gearboxes with flange-mounted hydromotors provide maximum torque on the driveshafts of the floor chains. 2 sensors are mounted to the front wall used for the automatic loading system, sensor1 measures the pre-compression at the front of the wall and sensor 2 measures the volume at the front wall. The scraper conveyor movement is regulated automatically and continuously to ensure an even load along the entire length of the wagon. A scale system comes as standard with an accuracy of +/-2.5% with weights being able to be stored in the operators customer counter.